The Shiloh II Wind Project represents one of two wind energy facilities built in California in 2008. This 150 MW project was brought to completion by the collaborative efforts of EDF Renewables, Pacific Gas & Electric, Solano County, and Travis Air Force Base, as well as landowners and community leadership of Rio Vista. The project further represents the largest global installation of the REpower MM92 turbine. 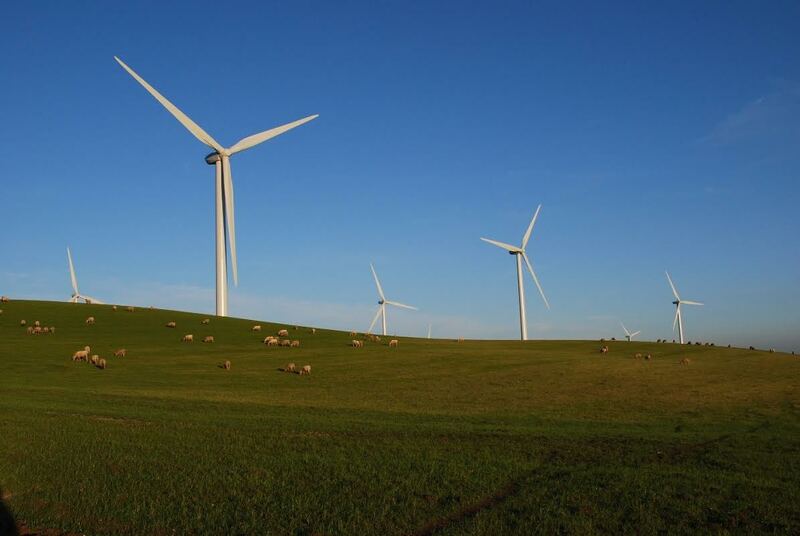 The 75 turbines stand amongst 6,100 acres of farmland, 98% of which remain usable for farming and ranching, in the rolling hills of the Montezuma Hills Wind Resource Area. Shiloh II provides clean electricity to approximately 74,000 PG&E customers annually, further demonstrating the utility’s commitment to renewables and their goal to meet the State’s ambitious Renewable Portfolio Standard (RPS) to procure 20% of generated energy from renewable sources by 2010. EDF Renewables provides on-site operations & maintenance services. In addition to services provided at the site, 24/7/365 remote monitoring of the wind turbines is provided from EDF Renewables’ Operations Control Center located near Chandler, Minnesota.